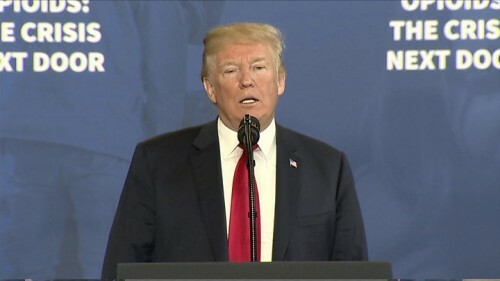 New York, April 12 (IANS) US President Donald Trump has suddenly withdrawn the nomination of Robert Williams to be the Assistant Secretary of State for South Asian Affairs. A terse White House announcement said on Thursday that his nomination sent to the Senate, which has to approve the appointment, was being withdrawn and gave no reason for it. The top position in the State Department overseeing South Asia affairs has not been filled since Nisha Biswal quit after Trump became President in 2017. A career diplomat, Alice Wells, has been looking after the portfolio on an acting basis. The Washington Examiner, a conservative publication, said that according to a senior administration official Williams had decided not to pursue the job. It said he cited "family reasons" for the decision. Williams is serving as the associate deputy director for intelligence at the Defence Intelligence Agency (DIA). When he was nominated in December, the White House said that he had more than 20 hears experience as an analyst and intelligence officer specialising in South Asia and Afghanistan affairs. He had previously been the national intelligence officer for South Asia at the National Intelligence Council and defence intelligence officer for South Asia at the DIA, the announcement said. Scores of diplomatic positions are unfilled. The US does not have an ambassador in Pakistan after David Hale moved to Washington to become the under secretary of state for political affairs in August.